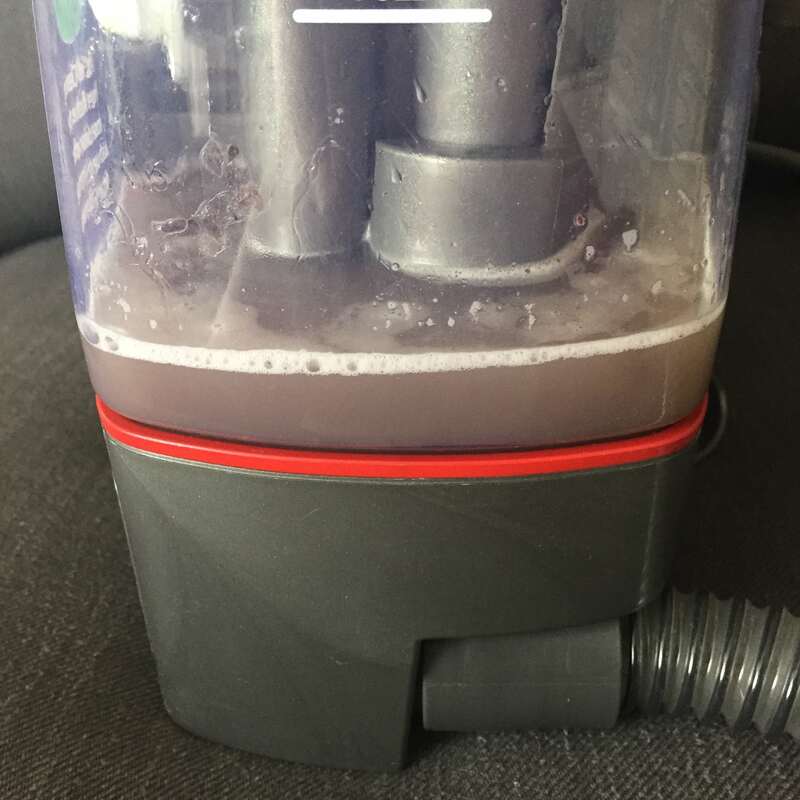 I am working with Hoover to test and review some of their home products, and I’m sharing my thoughts on them, with you! 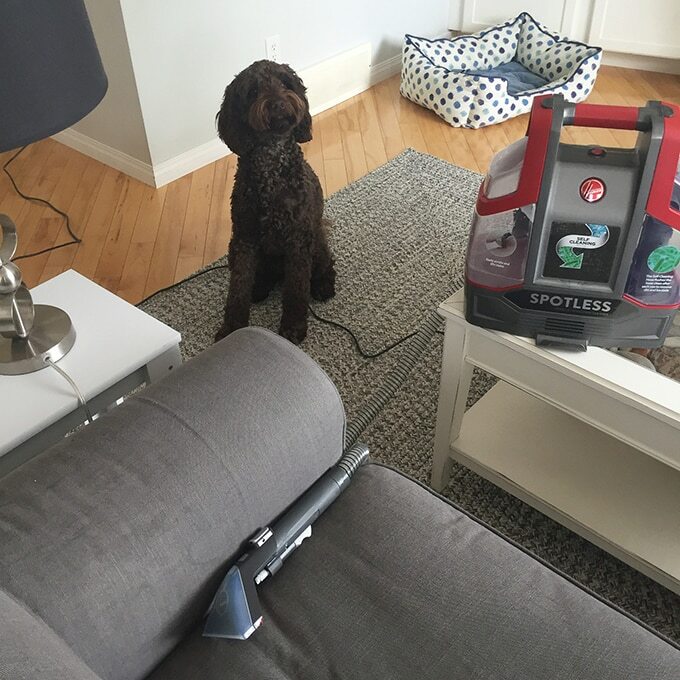 Recently I gave the Hoover Spotless Portable Carpet & Upholstery Cleaner a try, and I have to say I was pretty impressed. This little machine has big power. Since adding our dog Molly to our family, cleaning in our home has definitely changed. Even though she doesn’t really shed at all, she seems to be covered in a fine layer of dust that gets everywhere. Every. Where. And it drives me bonkers. I try to minimize the dirt she brings in by adding blankets to her favourite sleeping spots, like the couch, but the dirt is still there. And yes, the dog is allowed on the couch hahaha! But only in one spot and she has claimed it for life. 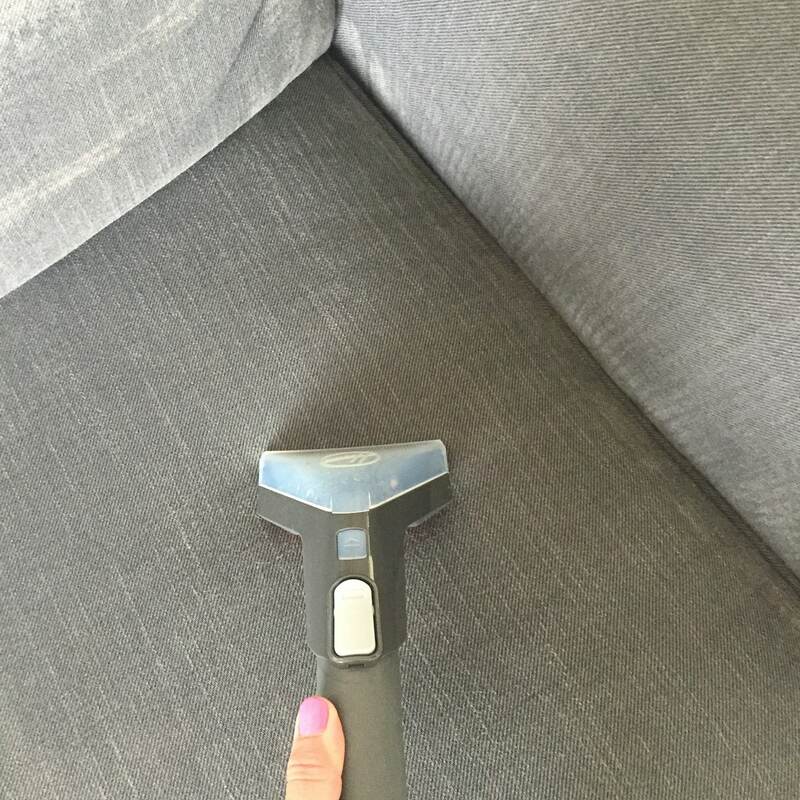 So to give this upholstery cleaner a true workout, I decided to try it out on the couch where Molly sleeps. And the results were not what I was expecting. I mean, I knew that this spot was dirty, but not THAT dirty. 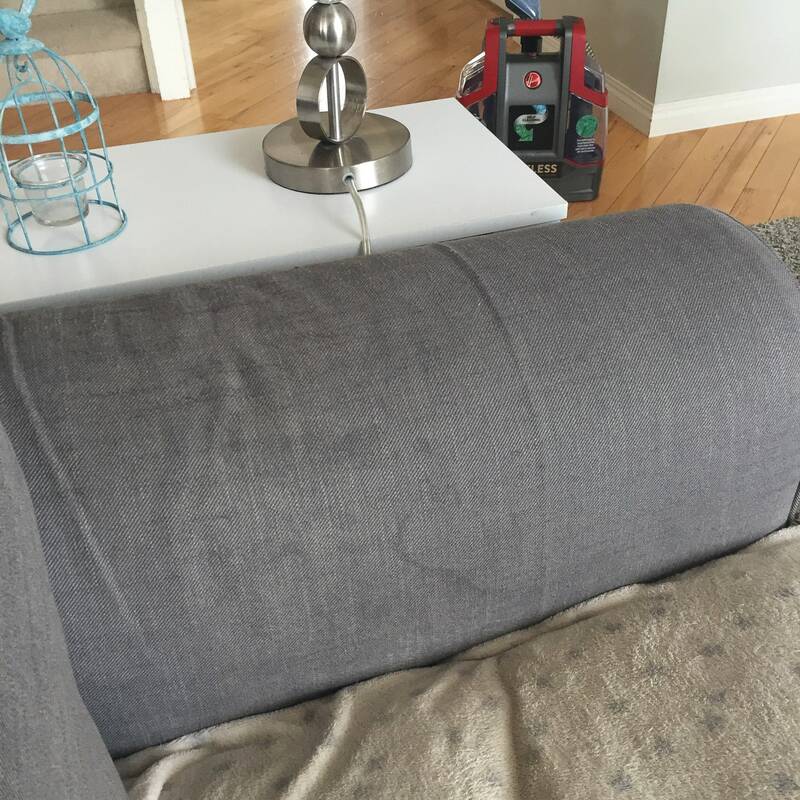 This is from one couch cushion! I was shocked! And super impressed at the same time that this cleaner could pull all of this dirt out in a matter of minutes. Now I want to clean everything. 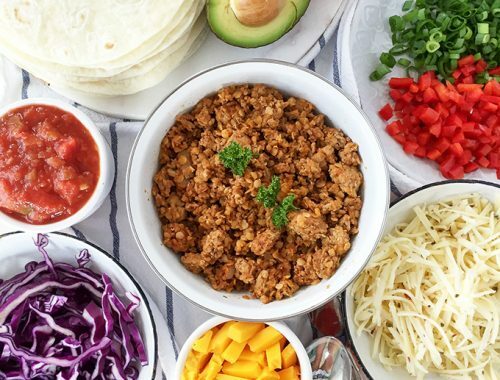 Because look how clean this looks! I really like this cleaner. 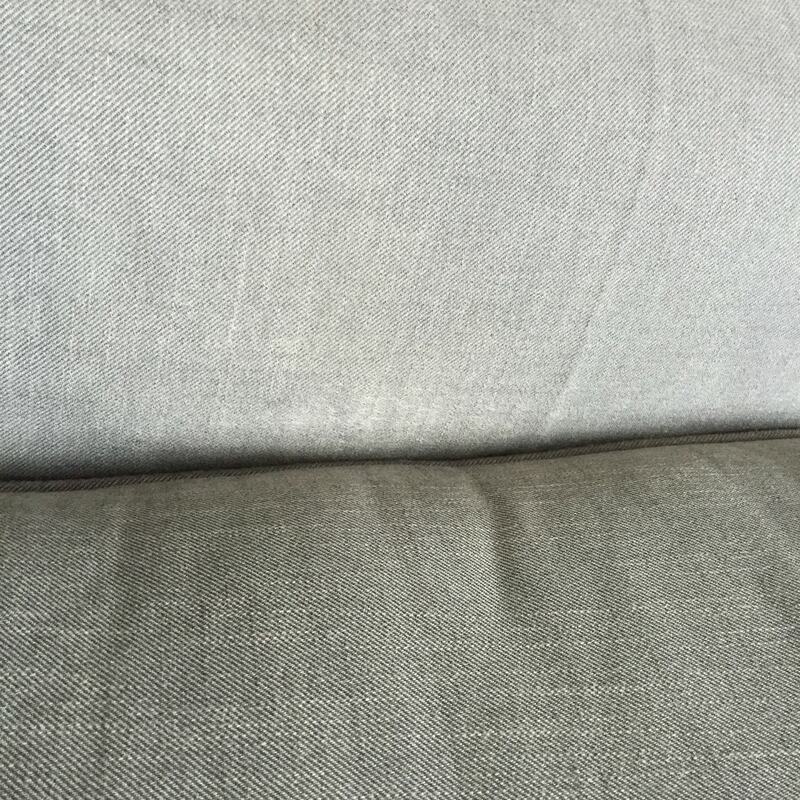 I was shocked at the amount of dirt it pulled out from just one section of our couch. And with it being so lightweight and portable it’s really handy for car cleaning, spot cleaning and upholstery cleaning. The price is a really good value too! Convenient Deep Clean. It’s portable and lightweight. Sprays, scrubs and suctions to remove every day stains and spills. Self-Clean Technology. This is such a great feature! Patent-pending Self-Clean Technology flushes the hose clean after each use to help remove dirt and bacteria for a spotless clean on the inside. Antimicrobial Multipurpose Tool. A deep cleaning rubber nubs tool that is engineered with antimicrobial materials making it easy to clean while helping to protect it against bacteria, mold and mildew. Powerful Stain Removal. High performance formula and powerful suction loosen and remove dirt and grime from carpet and upholstery. Lightweight and Portable. 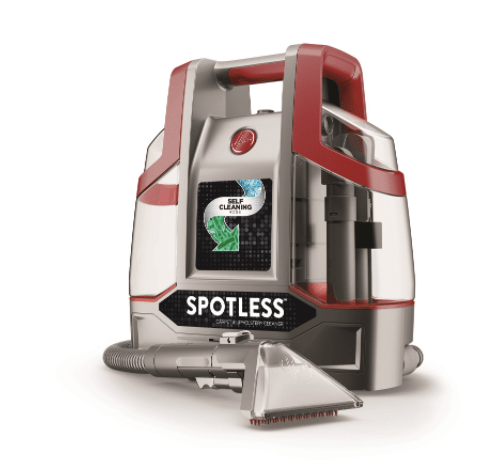 Reach and remove stains virtually anywhere from carpet and upholstery to stairs and more. Dual Tank Technology. Two removable tanks for clean and dirty water let you fill, empty and rinse each tank easily. It’s perfect for homes with kids and pets! This cleaner retails for $99.99 CDN and can be purchased at Hoover.ca, Canadian Tire, Home Depot, Walmart etc. Disclosure: Thank you to Hoover Canada for providing me with this cleaner for review! As always, all opinions and statements in this post are my own.